Following the war with Atrocitus and his renegade Red Lanterns, Guy returns to Earth to deliver his own brand of justice. 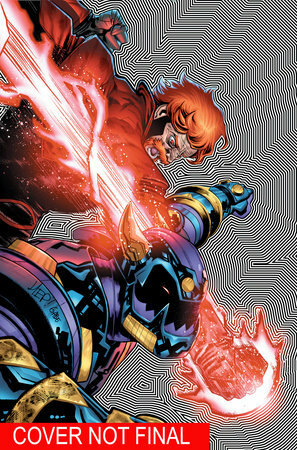 But a new, almost unstoppable threat arrives in the form of the New Gods! Collects RED LANTERNS #35-40 and RED LANTERNS: FUTURES END #1.